Rosemary arrived in the Gansbaai area over 25 years ago. Rosemary established the first guesthouse accommodation in Cliff Road, De Kelders as Mooiuitsig. 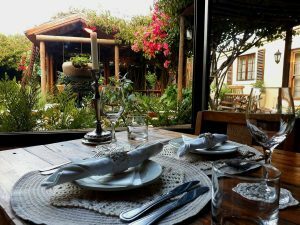 A few years later Rosemary and her partner started their shark diving operation (one of the first operators in the area) which was run from what is now known as Thyme at Rosemary’s restaurant, 13 main road, Gansbaai. 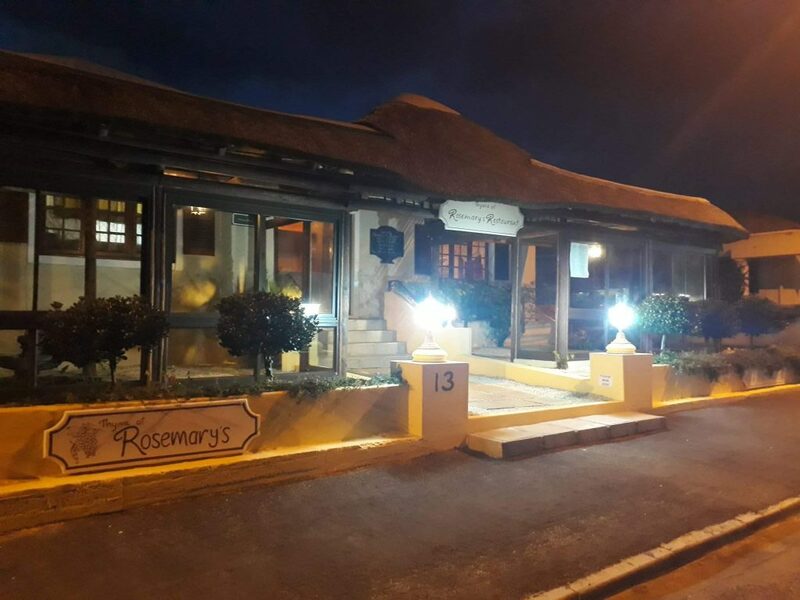 Last year Thyme at Rosemary’s celebrated its 10th year anniversary as a restaurant. Rosemary has always been aware of recycling where possible and has in the past 3 years drastically reduced plastic waste throughout the restaurant and one of our best ways was to actually educate our staff on the damages of single use plastics. We regularly held meetings on where we could reduce where necessary and have been involved in numerous beach clean-up operations, organised and private. We immediately joined in on the “refuse the straw” campaign and sourced biodegradable and paper straws, inserting a “plastic straw free zone” announcement into our menus. Most of our guests are foreign travellers who are very aware of the issues and concept and we were able to introduce the biodegradable straws easily. We also sourced suitable biodegradable take away containers and only provide them when requested. We have on numerous occasions supplied our regular guests with plates for “take away” orders and request they be dropped off or we collect if it is a guest house in the area. Unfortunately we were sitting with numerous Styrofoam containers until we finally got rid of them all. We are now completely reliable on biodegradable straws and take home containers. We reduced our use of plastic aprons in the kitchen wherever possible. One of our biggest noticeable issues was stock entering the premises and their contribution to an unbearable amount of plastics. We have since used glass wherever possible and try to order from suppliers that package in recyclable packaging. 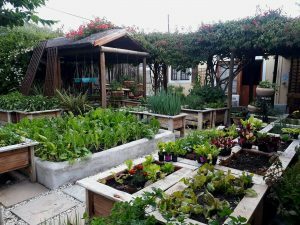 Good quality vegetables are very hard to find unpackaged in plastics so we have expanded our old nursery which now flows into our garden seating area filled with organic vegetables and herbs which are used directly in our kitchen eliminating plastics from suppliers. 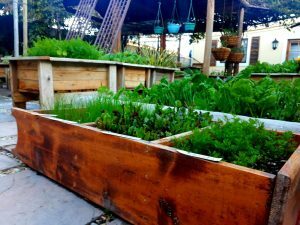 White Shark Projects would like to applaud Thyme at Rosemarys for helping to reduce the impact their business has on the environment and also for educating others on the unnecessary use of single use plastic. We hope that more organisations, businesses and individuals will get involved and help free our world of single use plastics. venenatis ut Praesent ultricies libero. consequat.